We offer maximum power point tracking (MPPT) power converters for thermoelectric generators with power ratings from milliWatts to hundreds of Watts. MPPT converters and harvesters (for low power) are necessary to ensure that the output power from the energy source is continuously maximised for any given operating condition. The converter/harvester autonomously selects the optimum operating point to obtain maximum power from the source. for power from a few Watts up to 150 W and voltages up to 85V. This is the recommended product for new designs. 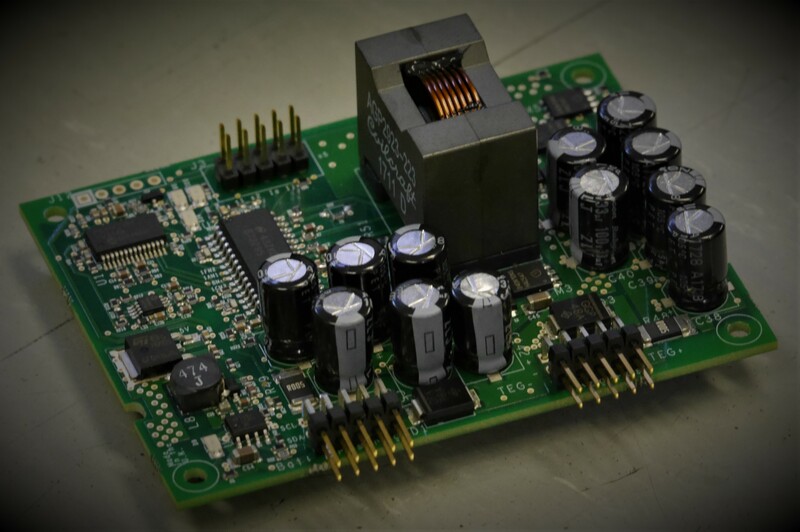 for power from a few Watts up to 64 W and voltages up to 27 V.
The backplane for KM converters provides the basis to create a Distributed MPPT (DMPPT) system for thermoelectric generators. 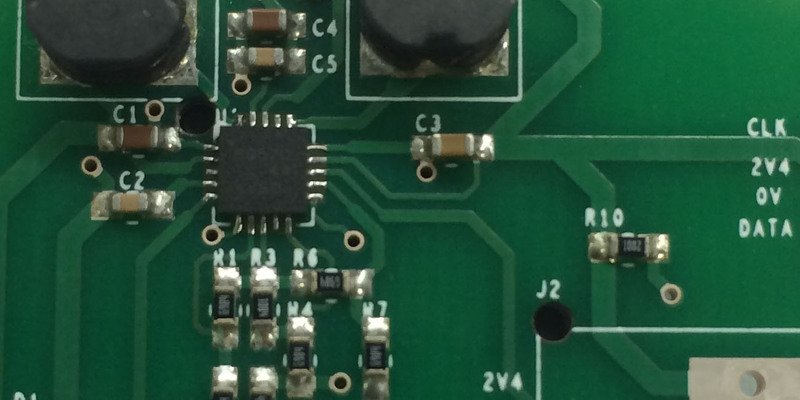 It interfaces up to 16 KM-series converters (each connected to different TEGs), connected in parallel to the same 12V battery. 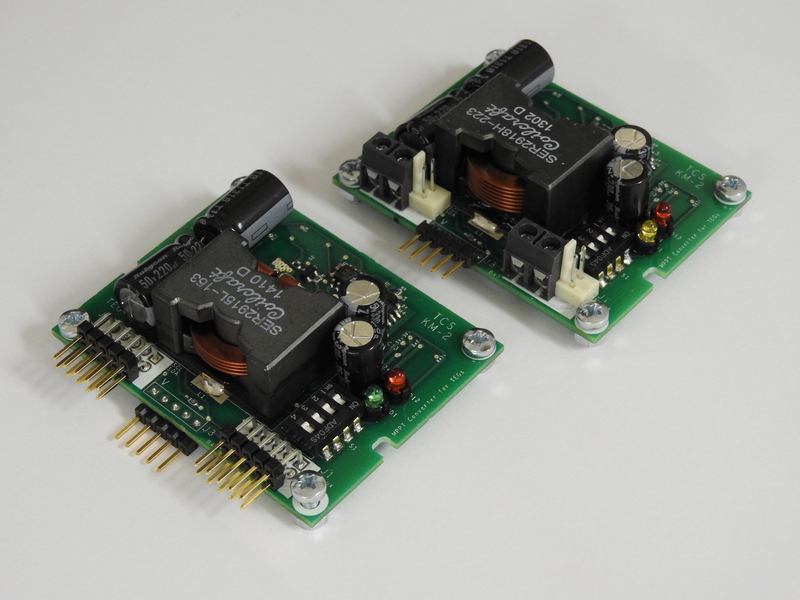 We can accomodate a wide range of input and output voltages, and power ratings. If needed, numerous converters can be paralleled for higher power handling capability. 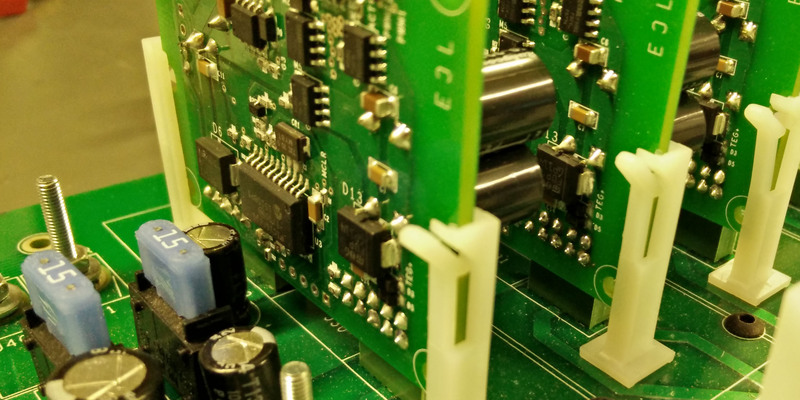 Custom-made designs can be tailored to your particular thermoelectric application: contact us using the form below and we will be able to design the bespoke power converters needed by your thermoelectric or PV system.